Another day closer and another item featured from our collections… what might it be? 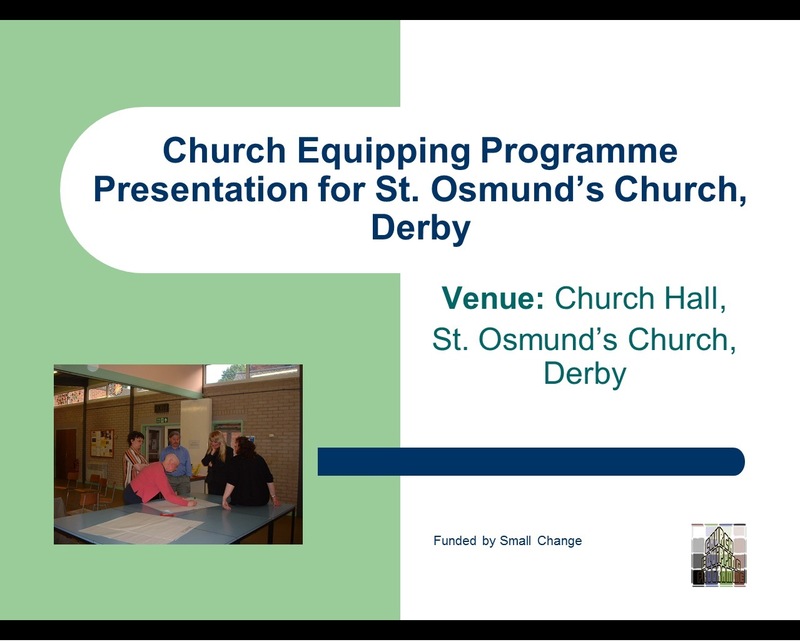 Parish of Derby St Andrew and St Osmund: Extract from a Powerpoint Presentation from Dec 2005 for the Church Equipping Programme (Ref: D958/A/PZ 33/2) – We don’t yet have many digital records in our collections but the digital collection is beginning to grow as we continue to work on our procedures to ensure we can continue to look after this information in the future (it is far more complicated than looking after “paper” records). You can see an enlarged version of today’s item here; to view the whole presentation and other records for the church, we can arrange access through our search room and public computers at the Record Office in Matlock. And don’t forget, if there is an item you particularly like in our Advent Calendar why not nominate it for our 50 Treasures?